Custom Connect, a global managed service provider of carrier neutral and microwave connectivity services, today announced the appointment of Anthony Kingsnorth as Group Chief Operating Officer. 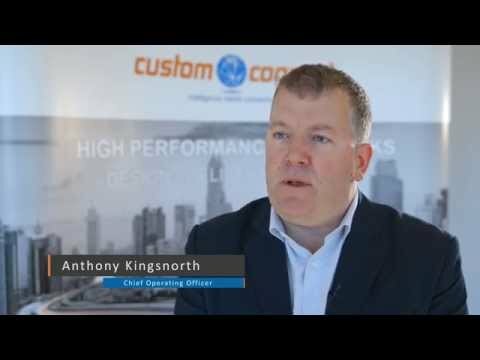 Kingsnorth will lead Custom Connect’s global operations across its entire service portfolio, which includes fibre and microwave access solutions, ultra-low latency networking for trading and financial services, connectivity for media and e-commerce organisations, cloud and data centre services, and any emerging opportunities in new markets. He will also be involved in the definition of the Group’s overall business strategy as well as the development of its existing product and managed services offering. Anthony will sit on the Group Executive Committee and will be based in the company’s London office. Kingsnorth worked for a number of investment banks before moving to Fixnetix, a global provider of front office outsourcing solutions, where he served as Chief Operating Officer for Fixnetix and built the company’s managed services proposition. Prior to that he worked at ING Barings, JPMorgan Chase and Lehman Brothers, where he led the EMEA Production Services team.